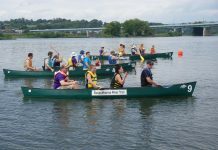 Paddling Life is on hand at this year’s Outdoor Retailer Summer Market tradeshow, to bring you not-in-the-industry folk up to speed on what’s going down. First installment: a look at products for the stockier set. Turns out that Morgan Spurlock, whose 30-day McDonald’s diet documented the fast-food industry, isn’t the only one going super size. 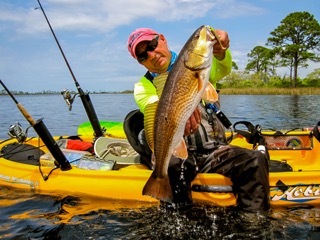 Paddlesport exhibitors are also banking on beefier consumers by churning out products that excel for XLs. Following are a few tipping the scales. With a length of 6’4.5” and volume of 72.75 gals., this linebacker-sized playboat can handle paddlers weighing up to 300 lbs – and despite its extra materials it’s offered at the same price as Jackson’s other Star series adult boats. “Big guys like to have fun too,” says company president Eric Jackson. Stocky stand-uppers can balance easily thanks to the CMac 10’6”, an XXL inflatable stand-up paddle board for folks tipping the scales at 250+. The key is it girth; at 34 inches wide, it’s the chubbiest board in C4’s line-up. 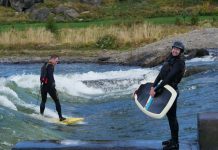 Based on the company’s river SUP design, the CMac 10’6″ employs progressive rocker for surfing and touring and carries the highest deck-to-hull thread count of any inflatable SUP on the market. “Some people even use it as a Yoga platform,” says C4 co-founder Todd Bradley. 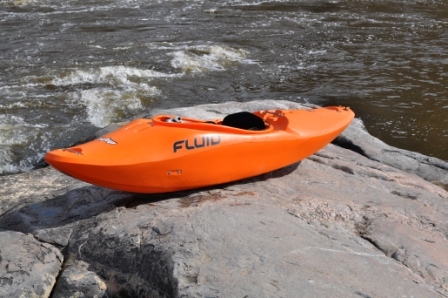 Fluid Kayaks owner Celliers Kruger designed the DeTox Large largely for himself. “I’m on the lower end of its weight range,” says Kruger, who weighs a hefty 200 lbs. The boat’s other test paddlers are even more suited for it — team paddler Hugh du Preez weighs 235 lbs. ; production engineer Pierre van Niekerk 230 lbs., and marketing director Jan van der Walt 240 lbs. Based on the lines of the medium DeTox, the larger version measures 8 feet and carries 71 gallons of volume. Emotion’s new 9’10” Traverse is an entry-level stand-up paddle board for those packing girth and guns. Suitable for touring and surf, its high nose rocker, water-shedding profile and forgiving sidewalls let it glide over waves and chop, while deep foot recesses offer stability and a textured surface for traction. At 36” wide and 8” tall, and a weight capacity of over 300 lbs., it’ll even float The Fridge. Ample-sized anglers rejoice. Wilderness Systems’s 14-foot Commander 140 is two feet longer than its predecessor and scaled larger in every dimension. More space, more stowage and more hull speed. Its foot room has also been widened to accommodate those size 14 dogs. With a maximum capacity of 500 lbs., its dual seating system can accommodate large solo paddlers, two adults or a grown-up and two kids. Sized up to 63 inches, Extrasport’s XXL Tactical PFD is the largest rescue vest on the market. The high-buoyancy PFD comes with side-contoured shoulder straps, multiple adjustment points and the patented RetroGlide™ system for a custom fit. It also comes with a U.S. Coast Guard-approved Swiftwater® relay harness; cowtail management option; and multiple rows of “Mollie” webbing along the chest and back panels to arrange safety equipment. MTI Adventurewear is banking on protecting the portly stand-up crowd it with its new Fluid Belt Pack. The CO2-powered PFD waist strap fits up to a 52-inch belly, giving even Buddha security for a long stand-up outing. Pull the cord and Whoosh! the CO2 cartridge activates and a life jacket bursts out of the pouch. An indicator point (green means go) on the polyester shell confirms its readiness. Big guys can breathe easier thanks to the XXL Tempest paddling pant from Kokatat. The company has enlarged the waist of this waterproof pair of pants two inches, providing ample girth for Goliath-sized paddlers. Constructed of TROPOS 3-layer waterproof/breathable material with integrated socks, the pants also carry a wide hook-and-loop closure neoprene waistband that mates with a double skirted top.